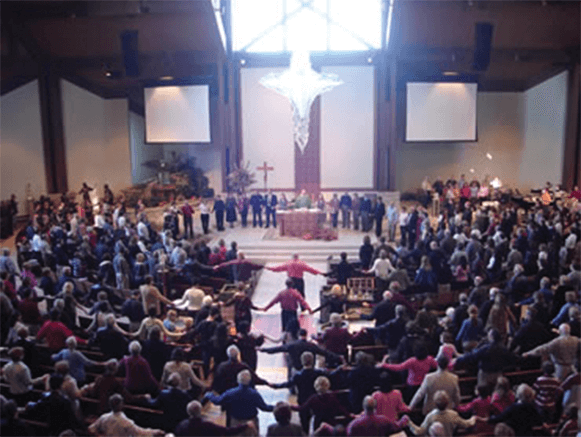 When the Holy Family Parish needed to update their Audio, Video and Control Systems with a greater emphasis on Contemporary Worship, Diversified Design Group, Inc. was brought in to provide complete design, budgeting, bidding and construction oversight duties. The project included two 6 speaker concert arrays, an automatic mixer for traditional services and a 48-channel, state-of-the-art digital mixing console for contemporary music services. Four pan/tilt cameras, a digital video recorder, dual projection system and comprehensive touch panel control completed the upgrade. Diversified Design Group, Inc. provided the essential design and oversight that allowed Holy Family Parish Catholic Church to fulfill their AV needs and stay within budget.